View More In Diaper Creams. 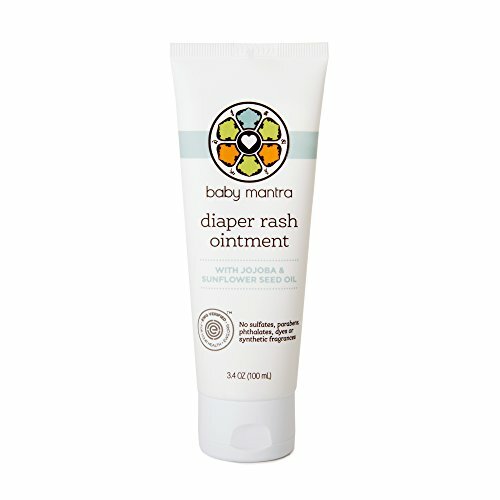 Soothe baby's bottom with the natural elements of sweet Almond oil, Rosemary leaf, and Jojoba - ingredients aimed to relieve skin irritation and give comfort and ease to diaper rashes. Use daily and you're sure to notice a difference in baby's level of comfort, mobility, and mood at diaper change time. A must have in your baby's natural diaper change routine. This product is rated "1" on EWG's Skin Deep. If you have any questions about this product by Baby Mantra, contact us by completing and submitting the form below. If you are looking for a specif part number, please include it with your message.